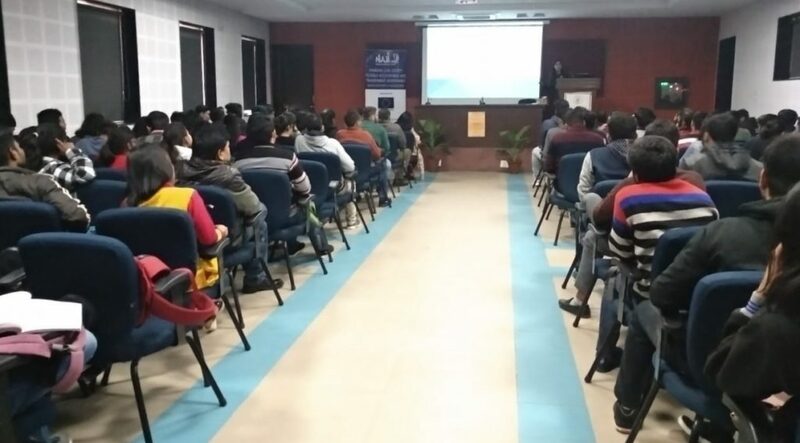 On 12th December 2018, the Centre for Law and Policy Research (CLPR) in collaboration with thePraja Foundation, conducted a 2-hour workshop on Indian Constitutional History at the Aatma Ram Sanathan Dharm College in New Delhi. The workshop aimed to demonstrate how the historical origins of the Indian Constitution can provide insight into contemporary legal, political and social issues. In particular, the workshop allowed students to engage with the debates Members of the Constituent Assembly had on freedom of speech. It allowed the students to see the contemporary relevance of these debates. Around 30 students participated in the workshop, most of whom are studying Political Science. First, we introduced the students to the Constituent Assembly Debates and various historical Constitutions, granting them the opportunity to engage directly with India’s Constitution making process. Via an analysis of constitutional provisions, we challenged the students to recognise some of the broader themes and patterns underlying the Debates. We concluded the first half, by asking the students whether it was necessary to read about India’s constitutional history, and if so, why? In the second half, students were given the opportunity to familiarise themselves with the functioning of the CADIndia website by means of a worksheet. Then, the students watched a short video clip of a debate on freedom of the press in India. After the video, the students were handed out a worksheet which had 5 questions on the debate. The questions were designed to enable students to enhance their understanding of the history of freedom of speech in India. The worksheet asked them to identify Assembly Members who participated in the debate and to analyse their arguments. Finally, the worksheet challenged the students to identify the contemporary relevance of the debate. We concluded the workshop by re-emphasising the importance of analysing current constitutional challenges through a historical perspective.